Drunk driving is a major problem all over the United States and according to the National Highway Traffic Safety Administration (NHTSA), nearly one-third of all traffic-related deaths every year are caused by drunk drivers. The FBI reports that an average drunk driver has driven drunk over 80 times before their first arrest. While law enforcement and organizations like Mothers Against Drunk Drivers have made tremendous progress in reducing impaired driving, the NHTSA estimates that two in three people will be involved in a drunk driving crash in their lifetime. If you or a loved one have been injured in a car accident because of a drunk driver, then our Rockford personal injury firm can help you through the legal process of recovering for your injuries and property damage. Call us at (815) 289-3209 to arrange a free consultation with a personal injury lawyer and discuss your case. “Dram Shop” is an old-fashioned word meaning an alcohol-selling establishment such as a bar or club. Under the Illinois Dram Shop Act, we can recover for your injuries directly from the bar, club, or alcohol-selling establishment that served alcohol to the person responsible for the car crash. In order to hold the “dram shop” liable, we need to prove. Alcohol Sale: The bar, club, or alcohol-selling establishment sold alcohol to the person responsible for the collision. Factual Cause: The injuries and damages were caused by the drunk person. Proximate Cause: It was foreseeable to the alcohol-selling establishment that the individual who they served alcohol to would drive impaired and cause a collision. Alcohol Played a Major Role: Intoxication was at least one major cause of the conduct that led to your injuries. If you were hit by a drunk driver, one of the first things I would do as your personal injury lawyer would be to investigate to see where the driver got drunk. You only have one year from the date of the accident to bring a lawsuit against a bar or club, so if you’ve been hit by a drunk driver contact a car accident lawyer as soon as possible. 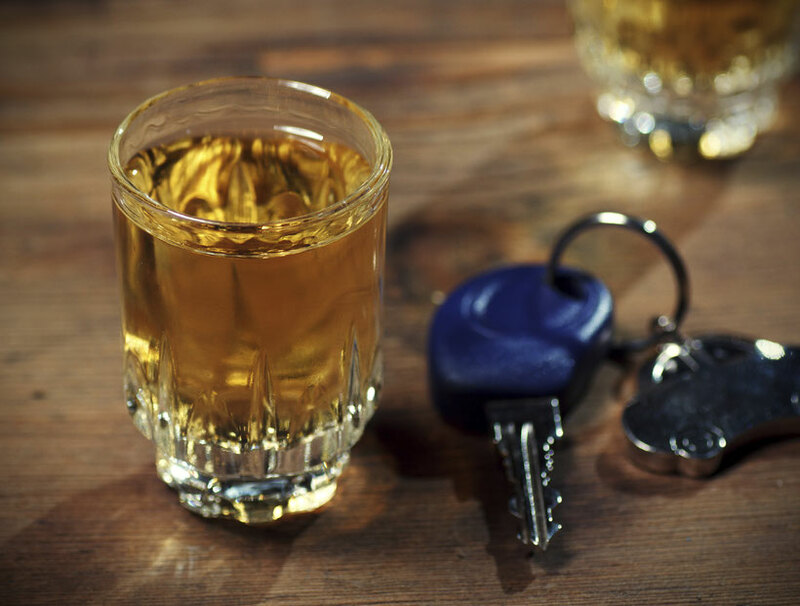 In lawsuits involving motor vehicle collisions, it’s natural to focus on the negligent conduct of the drunk driver. However, it’s possible that someone who wasn’t driving the car or even physically present at the time of the accident was partly at-fault for the accident. Here’s a common example: a couple of drinking buddies drive to a local tavern for a night of drinking and they all get wasted. Jim realizes he’s had a few too many beers and decides to do what he thinks is the responsible thing to do and asks Bob, whose less drunk, to drive them home in Jim’s car. Jim cautions Bob to watch out for the cops and to be careful, but Bob swerves into an oncoming lane and crashes into another vehicle. Under negligent entrustment, the person who negligently entrusts a drunk driver with their vehicle can be held partly responsible for the crash. Additionally, that person may be charged with a Class A misdemeanor for knowingly permitting a driver under the influence to operate a motor vehicle. As your personal injury attorney, it’s my job to explore all potential means of recovery and investigate whether someone else negligently entrusted the vehicle to the drunk driver that hit you or a loved one. Oftentimes, people with multiple DUIs struggle financially because they have to pay for court costs, legal fees, license reinstatement fees, court ordered substance abuse counseling, ignition interlock systems, and other DUI-related expenses. Additionally, they are not earning income while sitting in jail, they may lose their job, potential employers may be reluctant to hire individuals with a history of DUIs, and insurance companies will categorize them as a high-risk driver and they will have to pay increased insurance rates. The financial and personal struggles of people with DUIs often means they don’t have auto insurance or pay for the cheapest insurance that only has minimum coverage. If the drunk driver doesn’t have auto insurance, we have the option of pursuing them directly for your personal injury recovery but these types of people likely won’t have the means to pay you. Instead, we can pursue uninsured motorist coverage under your own insurance policy. If the drunk driver only has minimal coverage or their coverage is not enough to pay for your injuries and property damage, then we have the option of pursuing underinsured motorist coverage under your own insurance policy. When you or a loved one have been hit by a drunk driver, you can rest assured that we will thoroughly explore all avenues of recovery to see whether uninsured/underinsured motorist coverage, dram shop liability, or negligent entrustment claims would be beneficial for your recovery. Call us at (815) 289-3209 to speak to a Rockford personal injury lawyer about your case.